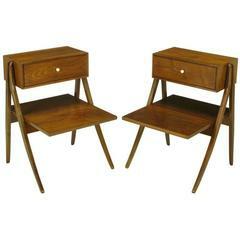 Pair of very rare John Dickinson bibliotheque end tables, a very limited edition design from Drexel's Et Cetera collection. Three large Shakespeare books make up the tabletop, with the middle book having a pull-out drawer. Beveled oak moulding and ball end legs serve as the platform for the books. Black lacquered resin rods and nuts serve as the stretchers. 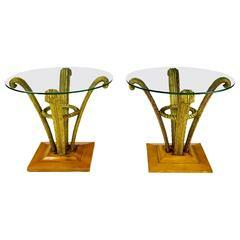 Due to the cost and intense hand work required to make these tables, they were offered for only a short time. 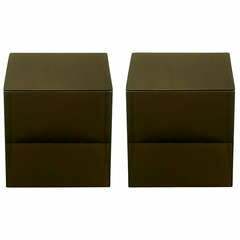 Pair of dark smoked Lucite cube tables. Wonderfully square and recently polished, can be used as a split coffee table or unexpected end tables. 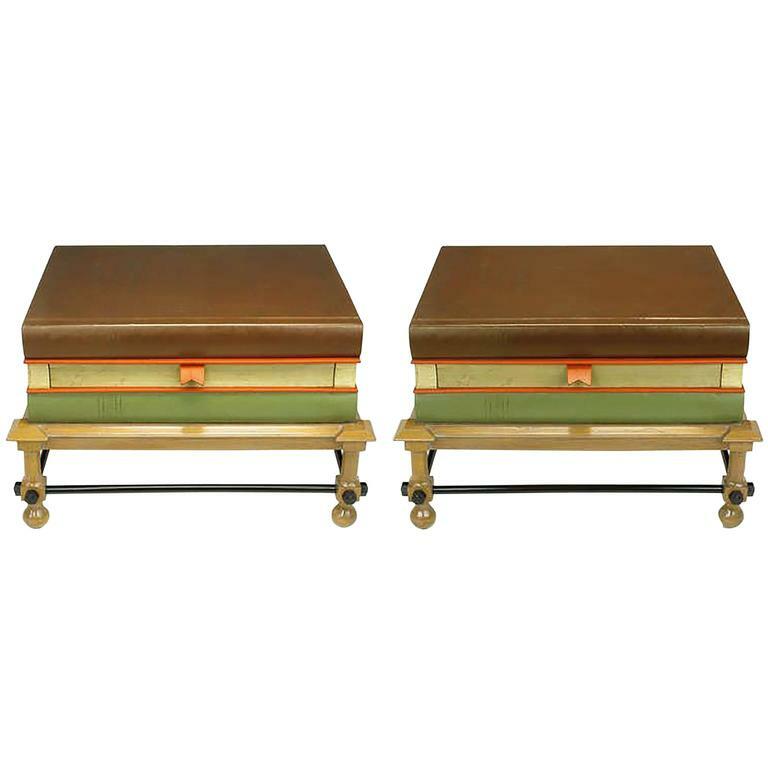 Whimsical hand painted metal side table that resembles a stack of library books. The top lifts to depict storage area underneath. John Dickinson Etruscan table in a matte white finish. Crafted of fiberglass reinforced concrete. Suitable for interior or exterior use. Weighs approximately 100lbs. 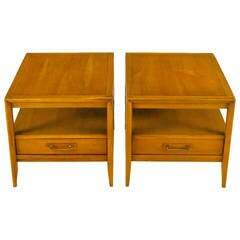 Pair of octagonal side tables, Frames is walnut with enamel textured design under glass tops.